Generic 14"-42" Flat Panel TV Wall Mount For LED LCD PDP TVs - Black. How do you relax at home after a long day at work? How do you spend time with your family indoors? Survey has shown that this is best done in the living room in front of a television, watching movies, news, shows, and even cartoons. Get the best of entertainment and information with your family when you have the complete setup needed to give your family an in-house cinema experience, away from the growing addiction of the mobile phone. While the TV allows you to watch preprogrammed movies and shows, the DVD player allows you to play a movie of your choice the traditional way. Make movie time with your family more fun, when you get someone pick out a DVD to watch every other day. The television comes in different sizes from as low as 32” to as high as 219” allowing you to choose the best for your walls. They can either be positioned on the wall with a wall mount or on a table top. Enjoy the evolution of technology with the different innovative features newly introduced. The world has moved from the ancient box-like design to sleek, ultra slim designs. Enjoy the best views on high-resolution display that shows you even the tiniest of details from the HD, Full HD, Ultra HD, 4K Ultra HD resolutions. Most commonly found are the smart TVs that allow you to get the best connectivity to the internet world and your other smart devices. You get to operate it like you would operate your phone with various apps that bring you joy and pleasure like Youtube, Netflix, and other subscribed channels. Use the Wi-Fi connection to connect to the internet and download or stream for as long as you would want. The trending curved designs allow you to enjoy infinity view from all sides without fading out. DVD players allow you to play DVD discs and now you can repeat the same movie or show for as many times as you wish. Available in different sizes, the portable DVD allows you to easily carry around to your friend’s house for use. Compatible with different TVs, you don't have to be connected to the internet or subscribed to a particular channel to enjoy the use of your TV, you can simply slot in any music or movie disc of your choice and enjoy unlimited entertainment. 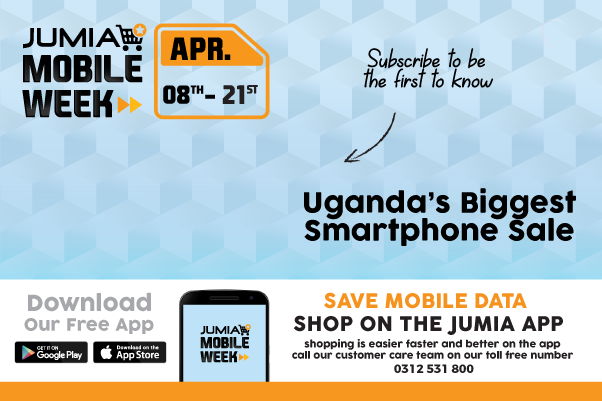 Enjoy the best of the entertainment world when you shop on Jumia Uganda. We offer you the best of electronics al the most affordable prices. Get authentic products from reliable suppliers and have your televisions, DVD players and accessories delivered to your doorsteps. Check out products from top brands like Samsung, Sony, Saachi, LG, Hisense, Venus, and many others.